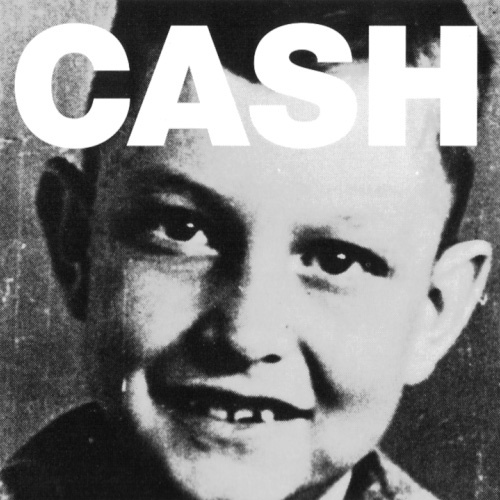 The is the sixth in the Rick Rubin-produced "American Recordings" series. And while it sure ain't no party stomp, it's one hell of a record. The smell of death—recent and imminent—permeates this collection. June Carter Cash died during these sessions, and Johnny shortly after. Every song reeks of mortality. "Ain't no grave can hold my body down" goes the title song, but you can hear—you can feel —how mighty the struggle is to stay out of that grave. The guitar, like the instrumentation throughout this album, is sparse but feels so… right. Footsteps and chains dominate the percussion. And a lonely banjo coaxes Johnny's weary, ragged voice along. Then the Man In Black, backed by some fine fingerpicking guitar, climbs aboard that train "heading straight to heaven's gate" in Sheryl Crow's "Redemption Song." The only original is a pleasant surprise. With a Bible verse ("I Corinthians 15:55") for a title, plus Johnny's apparent condition, I wasn't optimistic. But this is a lovely, very touching song, perhaps the most trad country of the lot. I like "Satisfied Mind," the old Porter Wagoner winner, too. It features among Johnny's strongest vocals on this collection. But my favorite of the 10 cuts is the cover of Johnny's pal Kris Kristofferson's "For the Good Times." You want gravitas? Cue up Mr. Cash singing, "Don't look so sad/I know it's over…Let's just be glad/We had some time to spend together." Indeed.